The entry-level performance motorcycle segment is bustling with the introduction of quite a few new offerings. The Indian consumers have an obsession with fully faired bikes, and no wonder the Yamaha R15 V3.0 sells like hotcakes. 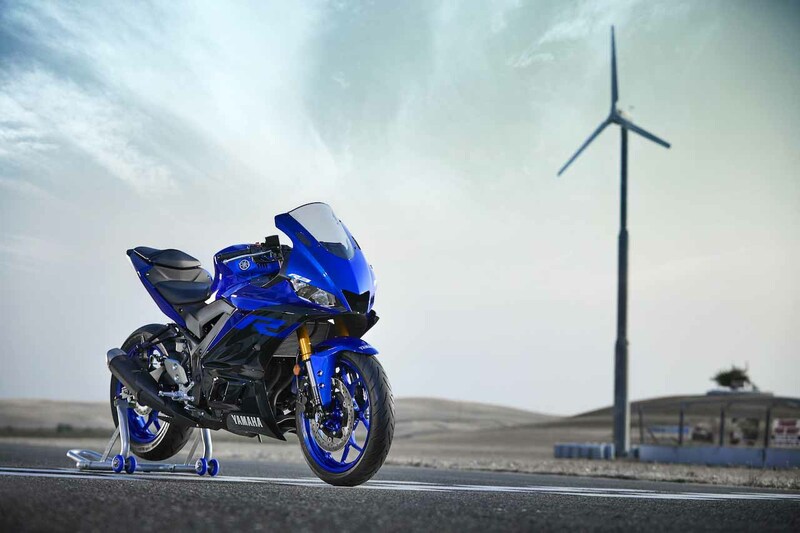 Here's a list of upcoming sports bikes in India under 500cc, which includes the 2020 KTM RC 390, new Yamaha R3, and the Aprilia RS150 among others. The KTM RC 250 is manufactured in India and exported to KTM's global markets. KTM India is now facing fierce competition from Royal Enfield, TVS and BMW. To offset the negative growth, KTM could consider introducing new motorcycles in India, and the RC 250 could be one of them. The KTM RC 250 was spotted testing in India in October 2017. Based on the KTM RC 390 platform, the RC 250 use the same chassis and mechanical as that of its elder sibling. The KTM RC 250 draws power from a 248.8cc, liquid-cooled, DOHC motor that produces 31 bhp and 24 Nm of peak torque. The engine works with a six-speed gearbox and a standard slipper clutch. 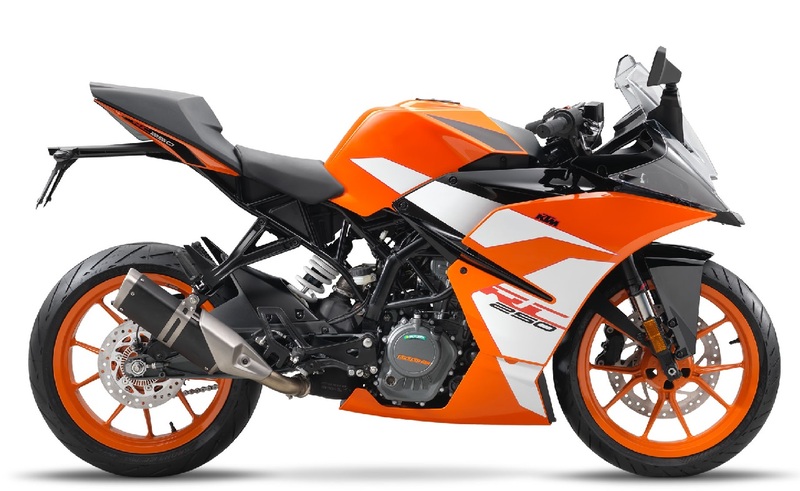 We can expect the RC 250 to be launched around INR 2 lakh (ex-showroom). The 2019 Yamaha R3 could receive heavy localisation in India to keep the prices under check. The 2019 Yamaha R3 debuted in Indonesia in October 2018 with a new design. Cosmetic updates include a new fairing with LED headlights and a faux RAM air-intake. The motorcycle also features an all-digital instrument cluster and a redesigned fuel tank, while the tail section remains unchanged. Mechanically, the 2019 KTM RC 390 comes equipped with 37mm KYB upside-down front forks that replace the telescopic units in the old bike, while the rear continues with the link-type mono-shock setup. There aren't any changes to the engine department, and the motorcycle draws 42 PS and 29.6 Nm from its 321cc parallel-twin, liquid cooled motor that comes mated to a 6-speed transmission. A report dated 24 January hinted that India Yamaha Motor could be looking at heavy localisation of components to keep the prices in check. The Yamaha R3 being a CKD import, we can expect it to retail around INR 3.70 lakh (ex-showroom). 2020 KTM RC 390 - IAB Rendering. KTM is working on the next generation RC 390 range that is expected to go on sale sometime next year. The 2020 KTM RC 390 was spied testing for the first time in Europe in December last year. 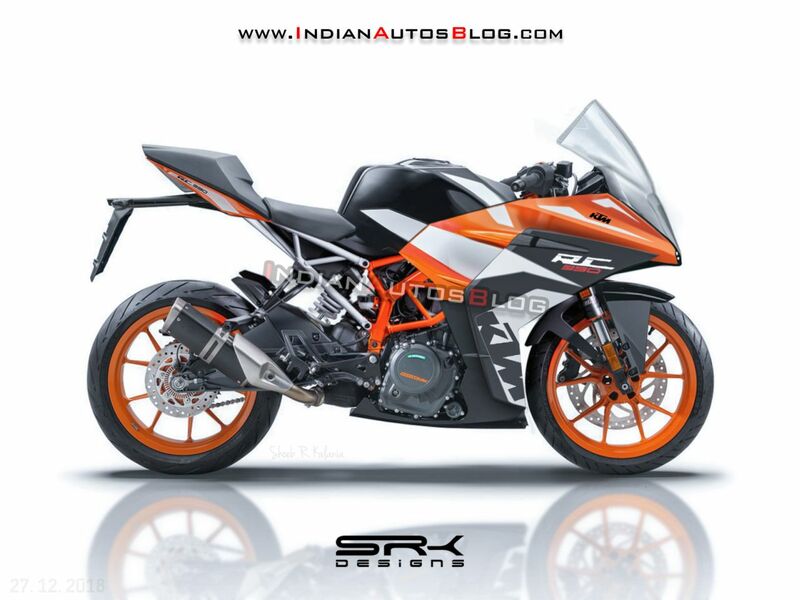 Based on the spy media, we brought you a speculative digital rendering of the RC 390. The 2020 KTM RC 390 will feature a complete design overhaul and slightly revised chassis with a separate sub-frame. While it maintains the overall silhouette, the motorcycle receives new bodywork that includes a new front fascia with a vertically stacked LED headlight, a double bubble visor, bigger fuel tank and a redesigned side fairing, while the tail section remains unchanged. The KTM RC 390 is also likely to feature an LCD TFT display for the instrument cluster with Bluetooth connectivity and Smartphone integration. We aren't sure about the mechanical changes or engine upgrades at present. In its current form, the RC 390 uses a 373.2cc, liquid-cooled, DOHC motor that produces 43.5 bhp and 36 Nm and comes mated to a six-speed gearbox. The KTM RC 390 is expected to make its debut at the EICMA 2019 in Milan, Italy and subsequently launch in India by mid-2020. We expect the new RC 390 to retail around INR 2.60 lakh (ex-showroom). The Aprilia RS 150 debuted in India at 2018 Auto Expo. It will rival the Yamaha R15 V3.0. 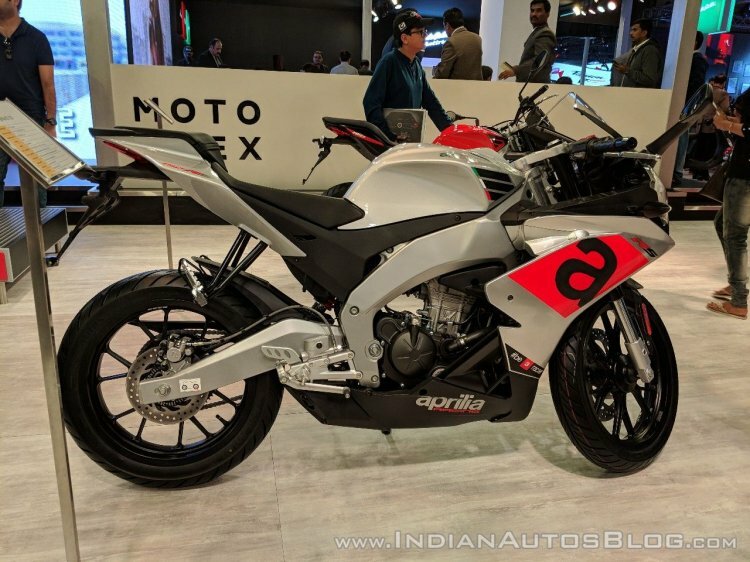 The Aprilia RS 150 debuted in India at the Auto Expo 2018 alongside the Aprilia Tuono 150. Once launched, the Aprilia RS 150 will be a direct rival to the Yamaha R15 V3.0. The motorcycle is under consideration for the Indian market, and Piaggio India's Two-wheeler business Head - Ashish Yakhmi, had confirmed to IAB in September last year, that the Aprilia RS 150 will not come before 2020. As far as pricing is concerned, the Aprilia RS 150 could retail around INR 1.50 lakh (ex-showroom). The Aprilia RS 150 takes design inspiration from the flagship Aprilia RSV4. It features the signature triple headlamps, an aggressive riding posture, and standard dual-channel ABS and a Quickshifter. Powering the Aprilia RS 150 is a 150 cc, four-valve, single-cylinder engine with liquid cooling. The fuel injected motor pumps out 18 bhp of power at 10,000 rpm and 14 Nm of peak torque at 7,500 rpm. The engine works in sync with a 6-speed transmission. Suzuki Motorcycle India (SMIPL) is reportedly working on a 250cc version of the Gixxer that is soon expected to be launched in India. According to reports, the Suzuki Gixxer 250 will be launched in H1 2019. 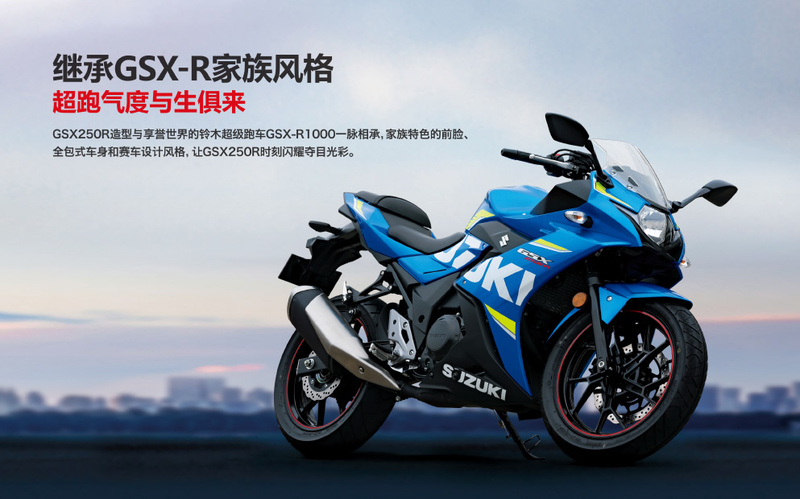 So, it is safe to assume that the company will come up with a fully-faired version, christened Suzuki Gixxer 250 SF. We can expect the Suzuki Gixxer 250 SF to be launched next year as a direct rival to the Yamaha Fazer 25 and the Bajaj Pulsar RS 200. It is expected to cost around INR 1.50 lakh (ex-showroom). While engine specs aren't out, a leaked report from December suggests that the Gixxer will feature a 250cc, single-cylinder motor with oil cooling and fuel injection.